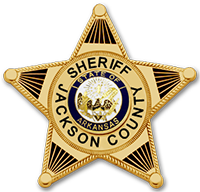 On Monday, March 2, 2015, at approximately 3:22 A.M. Jackson County Sheriff’s Deputies responded to an accident involving a southbound Amtrak train and a 2015 Ford Mustang. A preliminary investigation showed that the driver of the mustang, Mr. Pradeep Burugu, of Houston, Texas, attempted to cross the Union Pacific Railroad Crossing at Jackson County Road 55, when the Ford Mustang became stuck on the tracks in front of the oncoming train. Mr. Burugu was removed from his vehicle prior to impact. There were no injuries to the passengers on the eight (8) car Amtrak train and minimal damage to the train. The investigation into this accident is ongoing by the Jackson County Sheriff’s Office.